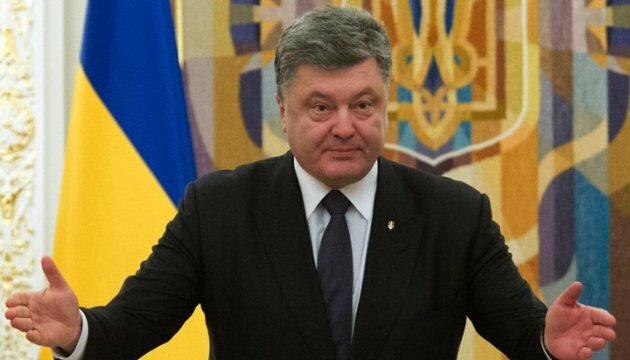 President of Ukraine Petro Poroshenko has stated he will not tolerate any confrontation with either the Parliament or the Cabinet of Ministers. The President said this in an interview with the Ukrainian TV channels, an Ukrinform correspondent reports. "I respect the Ukrainian Parliament. I'm probably the first President, who does not want and will not tolerate any confrontation with either the Parliament or the Government. I state absolutely clear: I have no other Parliament for you, and the next Parliament will not be better," Poroshenko said. He stressed that the Parliament now should fulfill the tasks and obligations, assumed at the signing of the coalition agreement. "To complete the decentralization reform, to secure the practical steps on the road construction, the investment volumes," the Head of State stressed.